April 13, 2016 – Engineers and technicians moved the Orion service module test article into the Reverberant Acoustic Test Facility at NASA Glenn Research Center’s Plum Brook Station in Sandusky, Ohio on Friday, April 8. Acoustic testing is scheduled to begin April 18. 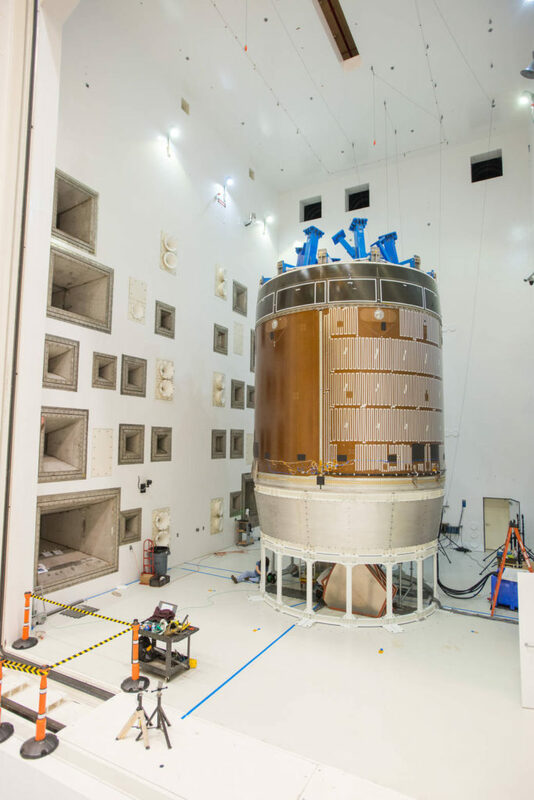 The test article will be blasted with at least 152 decibels and 20-10,000 hertz of sound pressure and vibration to simulate the intense sounds the Orion service module will be subjected to during launch and ascent into space atop the agency’s Space Launch System (SLS) rocket. 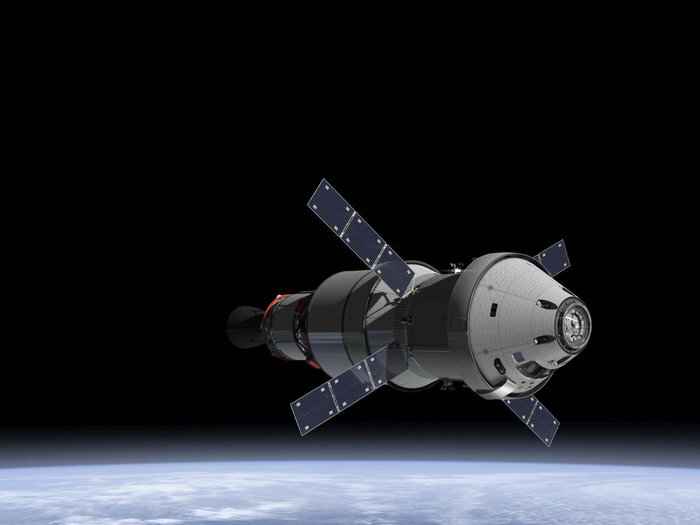 The Europeans Space Agency service module sits directly below Orion’s crew capsule and provides propulsion, power, thermal control, and water and air for the crew of astronauts. The solar array spans 19 meters and could power two households. The structural test article for Orion was built by Thales Alenia Space in Turin, Italy. Following initial tests in Europe, it is now undergoing a rigorous series of tests at Plum Brook Station to verify the structural integrity for Exploration Mission-1, the spacecraft’s first flight atop the SLS. More than 20 companies around Europe are working on the service module, most building on their expertise earned from the five Automated Transfer Vehicles that delivered cargo to the Space Station and reboosted its orbit from 2009 to 2015.